Hi Robyn. Thanks for letting me interview you! What’s the inside scoop on the book you’re promoting in the sale? Tell us what’s special about it and if it’s part of a series. 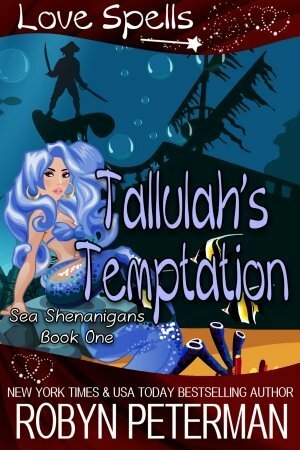 Tallulah’s Temptation is book one in the Sea Shenanigans Series. 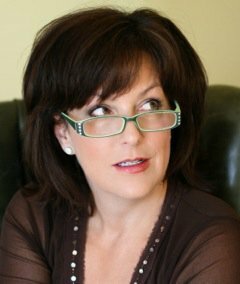 My critique partner–who may or may not be the one and only Donna McDonald–said it made her laugh harder than anything I’d written to date. I enjoyed the heck out of Pirate Doug and the feisty Mermaid, Tallulah. Soooo, here’s a nutshell blurb. LOL Come for the vacation. Stay for the shenanigans!! Pirate Doug and Tallulah meet again… What can go wrong? Umm… everything. Hop aboard and join Pirate Doug and Tallulah for a smexy, hilarious romp on the Mystical Isle. Pirates, Mermaids, Krakens, Sea Hags and boatloads of silly fun. I love to write outside. I really wish I was a daytime writer, but my muse seems to enjoy the middle of the night. I usually have a Coke in a Yeti cup with rabbit turd ice next to me. And even though I tried to cut back–I even deleted the apps and then downloaded them again–I like to play Soda Candy Crush and Jelly Crush on breaks. I fully and unashamedly admit I love candy corn. Some fun fast facts about Robyn . . .
Are you a beer or wine person? Neither–I drink Coke!! What paranormal species is your fav to write? That’s like Sophie’s Choice… All of them! Robyn Peterman writes because the people inside her head won’t leave her alone until she gives them life on paper. A former professional actress with Broadway, film and T.V. credits, she now lives in the South with her family and too many animals to count. Writing gives her peace and makes her whole, plus having a job where you can work in your underpants works really well for her. You can leave Robyn a message via the Contact Page and she’ll get back to you as soon as her bizarre life permits! She loves to hear from her fans! You can find Robyn at www.robynpeterman.com.